Many popular TV shows will be forced to move next year following a decision by ITV to close its London Studios. Primetime shows including ITV's Ant and Dec's Saturday Night Takeaway, BBC One's Have I Got News For You and Channel 4's The Last Leg will need to relocate elsewhere by spring 2018, when the studios are expected to close. The London Studios were once part of London Weekend Television (LWT) and have housed many iconic ITV weekend shows for the past few decades, including Cilla Black's Surprise, Surprise and SM:TV Live. The site took over national continuity announcements for ITV's channel 3 service in 2002, replacing continuity in the former ITV regions. The closure of the studios on London's South Bank is part of ITV's plans to redevelop its headquarters, creating a central office site for all staff. Although the redeveloped site will still contain a limited amount of studio space for its daytime programmes, including Good Morning Britain, This Morning and Loose Women, even these programmes will be temporarily affected by the redevelopment of the site. 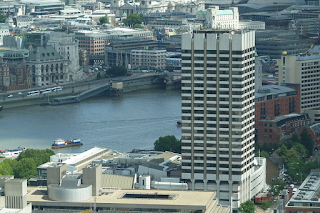 Office workers at ITV will be moved to two temporary workplaces north of the Thames, at ITN's site on Grey's Inn Road and nearby Waterhouse Street in Holborn. ITV will be seeking permanent alternative homes for its big studio shows at other sites in the area. One potential candidate is the former BBC TV Centre. Although much of the site has been converted to apartments and office space, part of the estate will come back into use as a TV studio and post-production site. BBC Studioworks has confirmed that the refurbished studios will be available to clients from September 2017. But space is at a premium: many other studio spaces in London have closed in recent years. Outside of London, most larger studio complexes once operated by ITV regional stations and the BBC have also been closed, although the development of MediaCity UK in Salford has bucked the trend. Some ITV staff will now be placed under a period of consultation over the plans, according to a staff memo published today and circulating online.